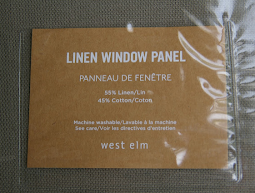 It's Monday again and it's time for another 'Moodboard Monday Challenge' at Sarah's blog, Finishing Touch Interiors. 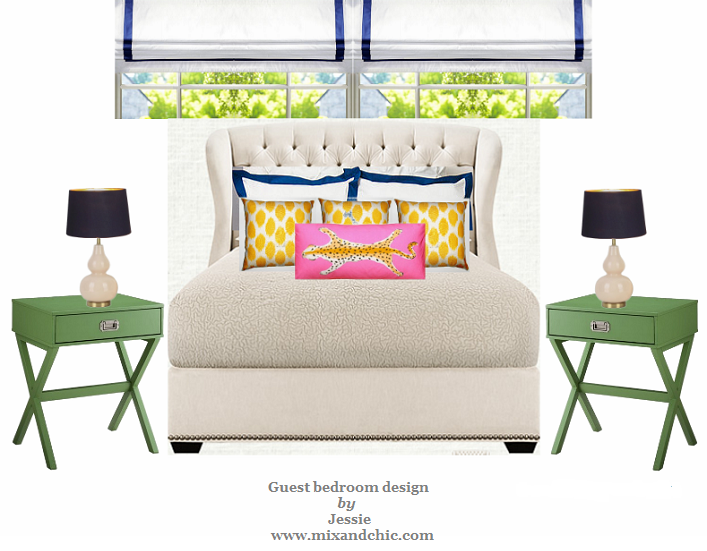 This week's challenge is 'Shabby Chic Bedroom'. I always envisioned a shabby chic bedroom to be a pretty bedroom, often decorated with floral motifs and well-worn, vintage pieces with a sense of character. The color palette has a more feminine quality and the overall feeling is charming and cozy. This is what I had in mind. Let's take a look. What are your thoughts? Do you like my vision of a shabby chic bedroom? Sarah has invited other designers to join her in the moodboard challenge as well so if you want to see what other designers came up with, please click here. As a reminder, Sarah will also be hosting an open challenge on Monday, February 6 with the Pink Challenge to help raise awareness for breast cancer. This challenge is open to everyone. Just send an email with your PDF moodboard and your details to Sarah at sarah@finishingtouchinteriors.co.uk by Friday, February 3. There will be a prize for a winner as well. Please click here for further details regarding the Pink Challenge. Don't forget to join me again next week for another Moodboard Monday Challenge. Have a lovely week! Beautiful ;D The bed alone is a winner! 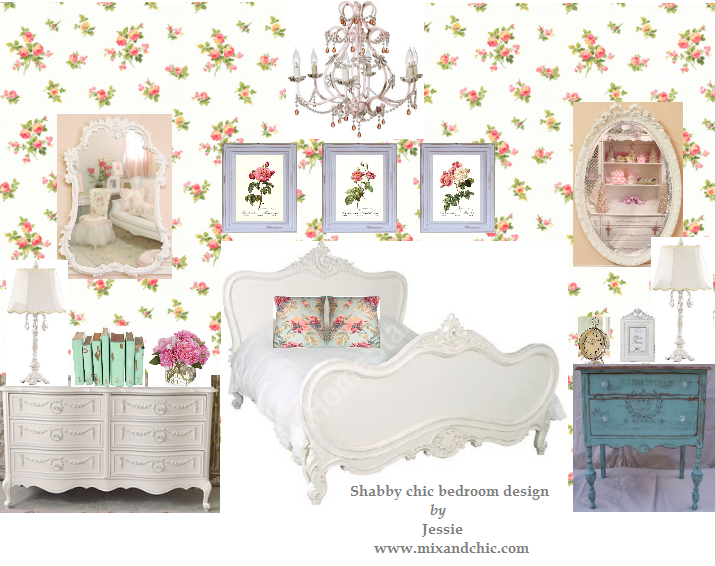 You have got the Shabby Chic look perfectly in your lovely moodboard, Jessie! Love the beautiful mix-and-match pieces you have picked. 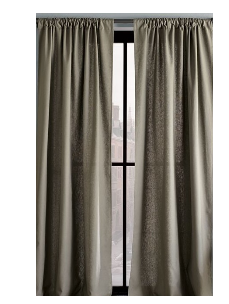 This would make a very pretty room. Jessie, although Shabby Chic is not my style, I think you've created a very beautiful, romantic bedroom, which I like best from the other moodboards. However, I also find Sarah's corner with the old white dresses hang from the screen a very nice cute and nice touch! I am not a shabby chic girl, but your board is beautiful! Great design. So sweet! This is totally my idea of a shabby chic bedroom. I love the pink drops on that chandelier! Great job Jessie!! So pretty, and how fabulous is that sassy bed?! It looks wonderful. I have got to try this. Are you still using the same company or are you using photoshop? very fun!! so glad to have found Sarah's blog as well. 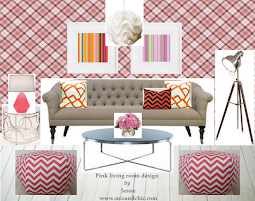 She's doing a Project Pink Mood board challenge and I decided to do one.